Eberhard Lumber Company was established in 1953 in New Braunfels, Texas. In 2003 we proudly celebratied our 50th anniversary. 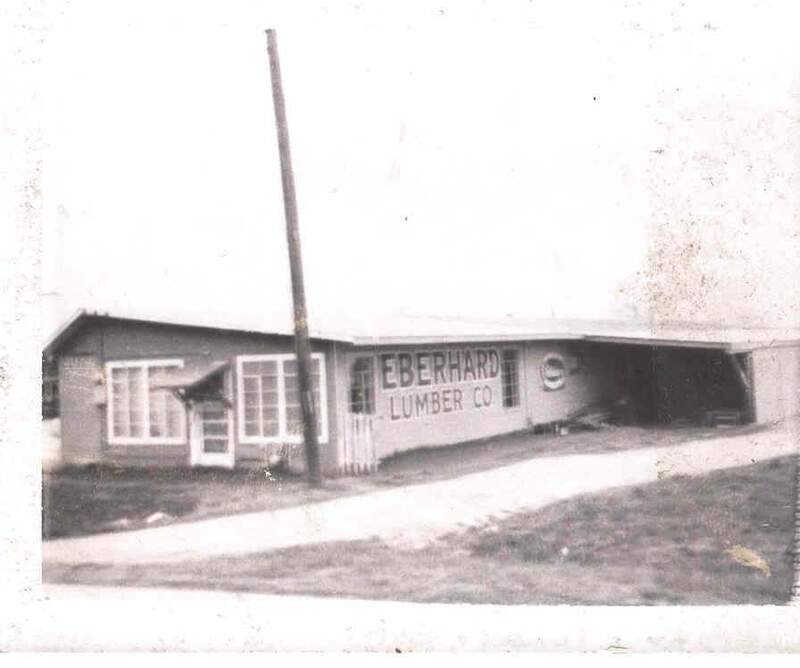 Eberhard Lumber Company was established in 1953 in New Braunfels, Texas. In 2003 we proudly celebrated our 50th anniversary. Original owner and founder, Herbert Eberhard, returned home to Seguin, Texas after completing his service in the Army in late 1952. He was offered an opportunity to start a lumber business in the area, which he excitedly accepted. Soon after picking New Braunfels as the location, he and a friend began building the store from the ground up. a son, Dennis, who both helped at the store as they grew up. Dennis worked at the business as he finished college. Upon graduation from Southwest Texas State University in 1978 with a BA in Business Administration, Dennis took over as manager. Eberhard Lumber continued to be a family affair when Dennis' wife, Diana, joined the company in 1979. Herbert Eberhard sold Eberhard Lumber Company to his son, Dennis, in 1993. Carrying on the tradition, Dennis and Diana's children, Devanee and Deke, help in the family business between schooling. Herb and Arline, although they are retired now, frequently stop by to visit and get supplies for their various projects. They are thrilled with the success of the business they started so many years ago. Eberhard Lumber Company has been fortunate to see almost 60 great years. We have continued to operate while witnessing 14 competitors come and go. The Eberhard Family and employees of Eberhard Lumber Company would like to thank their loyal customers (many of whom have traded since 1953) for their support and friendship throughout this half century.